A man who claims to be defense minister in the Islamist Chechen militant government has been detained during a special operation in the Russian republic of Ingushetia. Rusteman Makhauri is a close advisor to Doku Umarov, the head of the Islamist Chechen militant government, said the president of Chechnya, Ramzan Kadyrov. 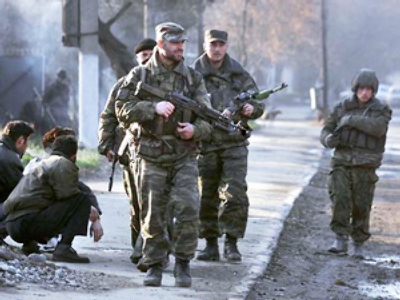 The operation was conducted in the area of the settlement of Arshty in the Sunzha region of Ingushetia, a neighboring republic of Chechnya, Kadyrov said. Makhauri had been wanted for a number of grave offences, including banditry and murders. His groups were mainly acting along the Chechnya-Ingushetia border. A joint counterterrorism operation of the Chechen and Ingush interior ministries kicked off on June 16. It was masterminded by the two republics’ presidents. Amid the operation the Ingush president, Yunus-Bek Yevkurov, was wounded in a terrorist bomb attack on June 22.